Red Bull has hundreds of staff members across the world that are sent out for event marketing. This presented itself a challenge for managers to keep track of their employees: Their working hours, where exactly they were marketing their materials (passing free Red Bull T-Shirts, free Red Bull drinks, etc). Dogtown Media’s objective in developing this mobile app was to give managers the ability to send their marketing teams to different events quicker, faster and more efficiently than previously done before. Before us, Red Bull were simply calling and texting each other as well as using paper clipboards as organizational tools to manage these marketing events. 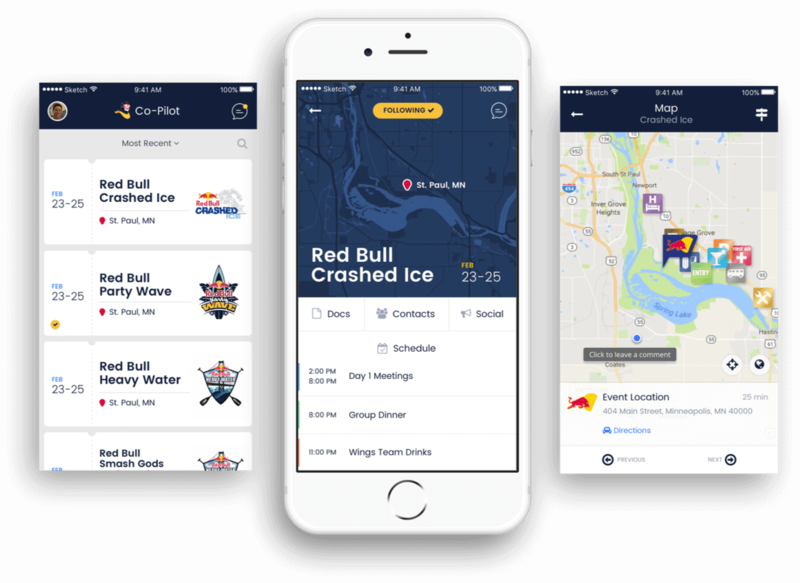 Dogtown Media determined that digitizing Red Bull’s current event management process (paper spreadsheets and manually calling employees) was the best solution for Red Bull’s fragmented team. 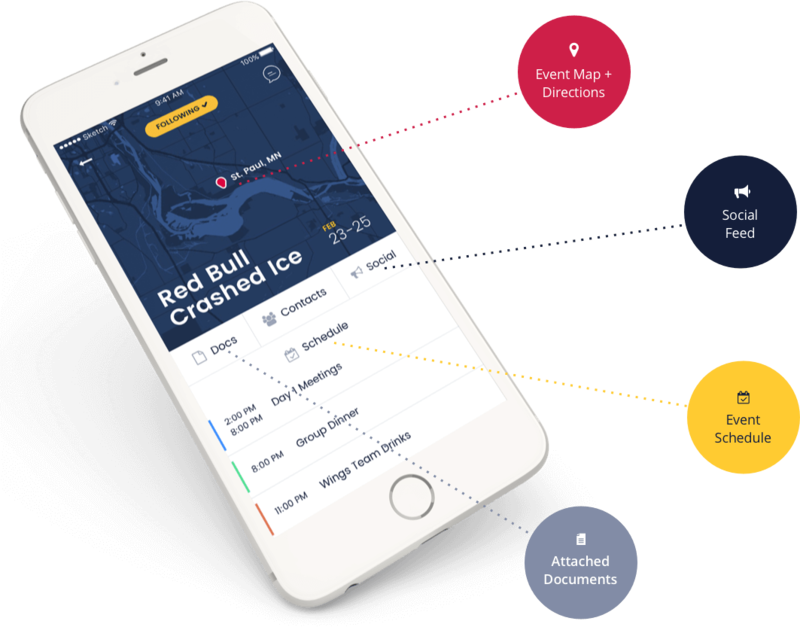 We developed user flows in conjunction with the Red Bull team that were suitable for both managers and employees. From there, we determined a core set of features necessary for event management including easy access to event information and instant messaging between employees and managers. 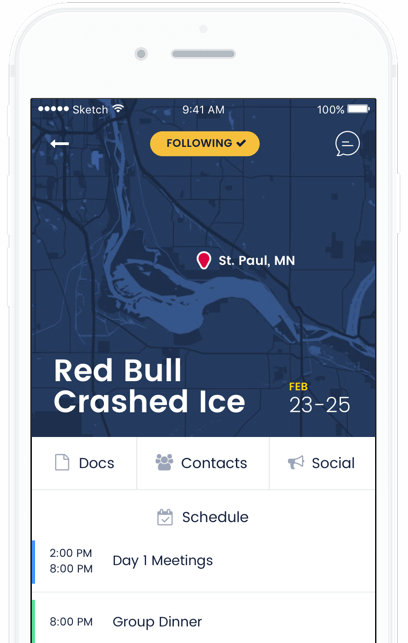 The Red Bull Co-Pilot App involved a main feed of events so the user could easily access each event with a simple click on their phone. In the main feed of the mobile app, both managers and employees could see what events were happening as well as where and when. The user is able to follow the event, including maps, schedule, contacts, all necessary documents, and social media feed associated with it in an organized and easy to use manner. Once an event was completed, the employee could use the time stamp tool and managers could keep track of employee participation in events. We implemented Red Bull’s brand guidelines so that it matched succinctly with the brand identity that is consistent and cherished by Red Bull worldwide. We worked very closely with Red Bull’s internal team to manage the project’s process, ensuring that key stakeholders were involved in every step. For these reasons, the Red Bull team and their stakeholders shared the same sentiment that they loved the design as it was ‘elegant and functional’.